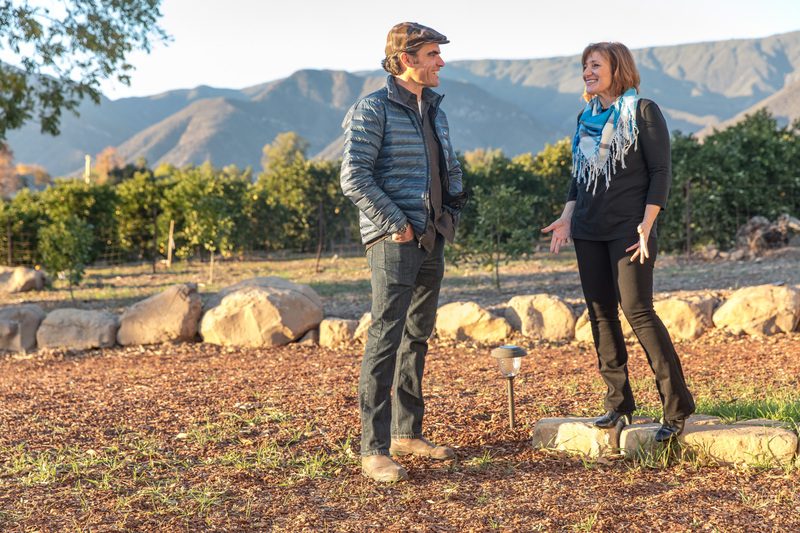 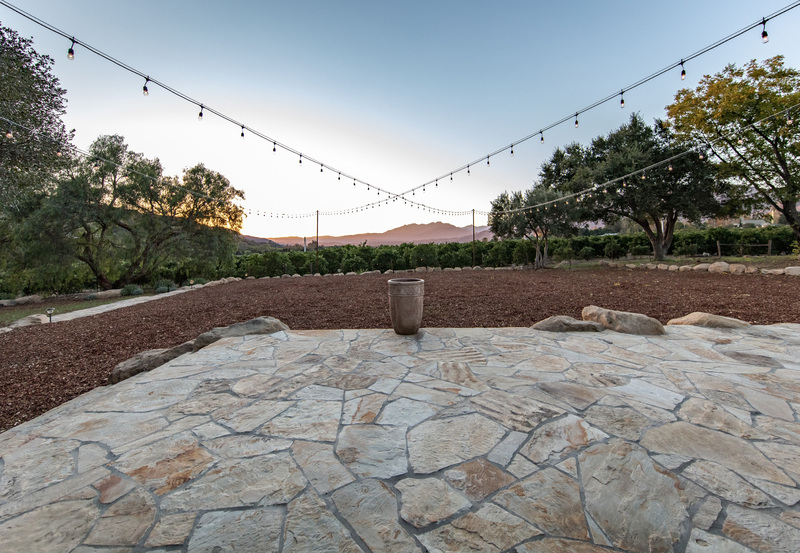 this large-scale landscape, created for an on-site family wedding, draws both inspiration and materials from the property’s location at the base of the topa topa mountains. 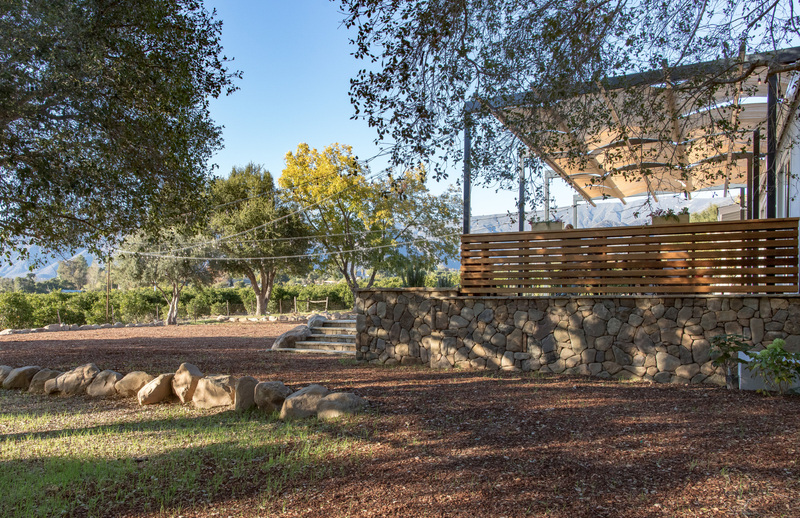 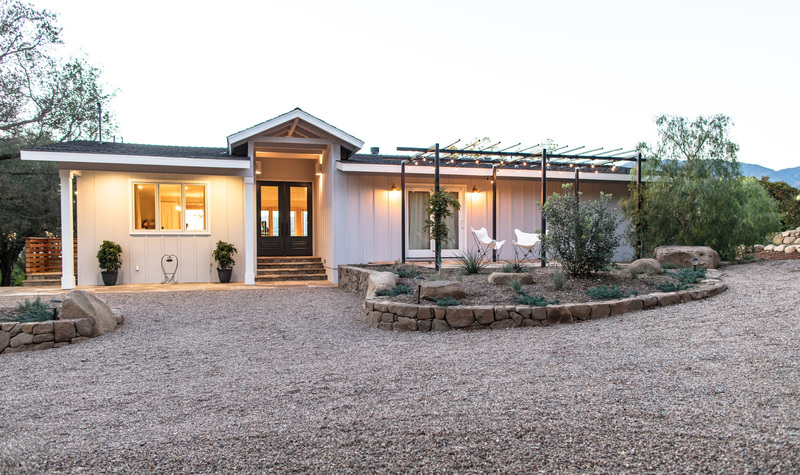 situated on a dry creek bed, the site required considerable excavation and recompacting, yielding an abundance of boulders that were incorporated into long, dry-stacked retaining walls. 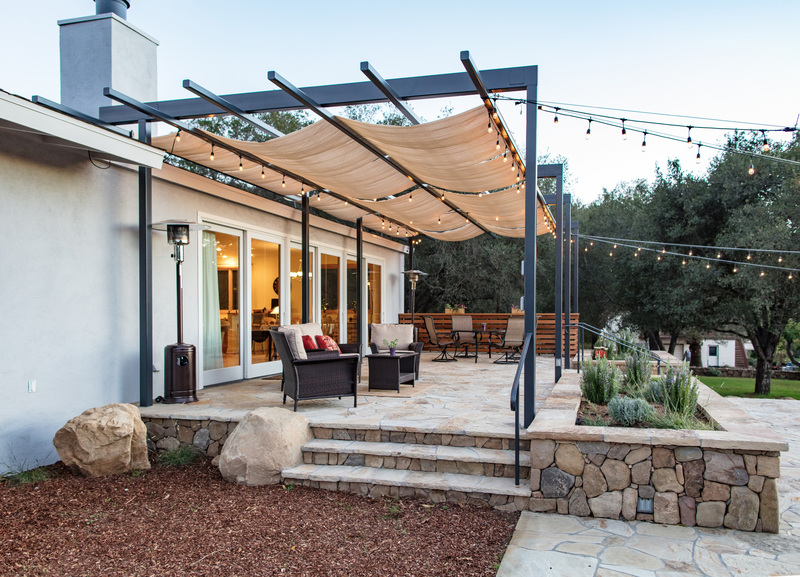 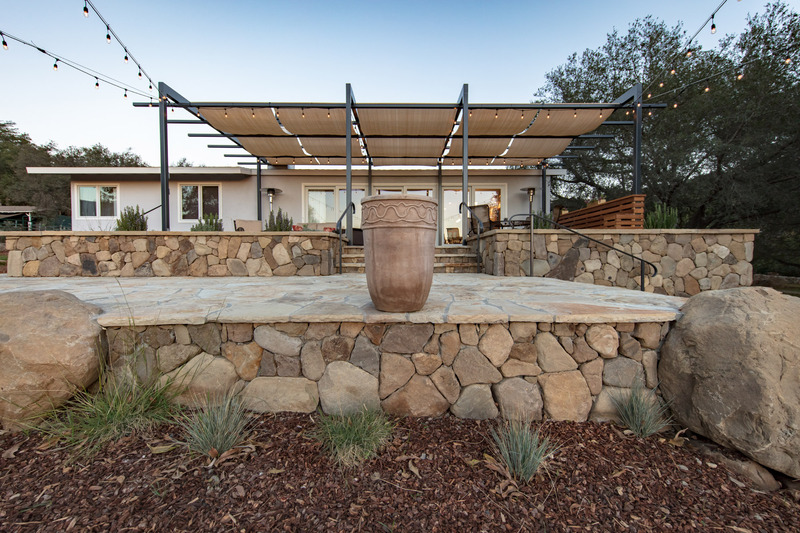 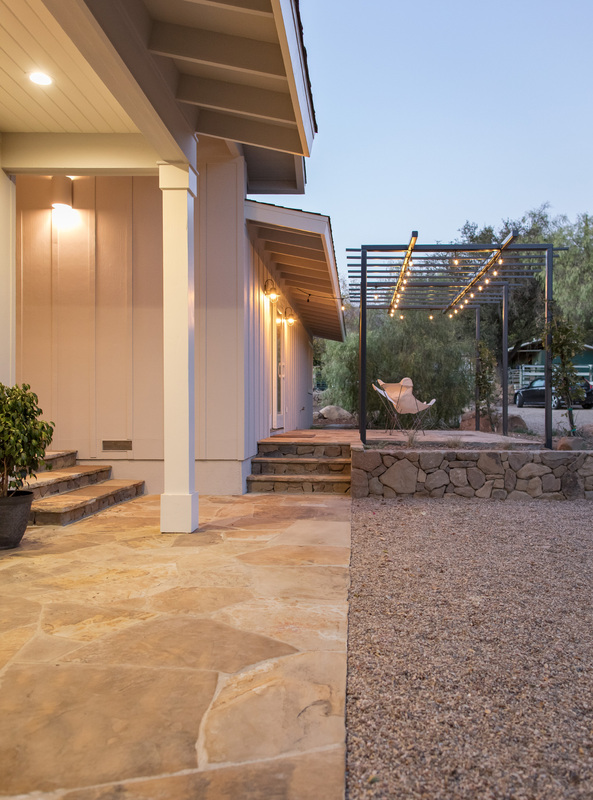 flagstone patios and steel trellises front and back let the owners take in both sunrise and sunset views of the surrounding mountains and valley.